Samsung is set to soon hold its ‘A Galaxy Event,’ where the company will unveil its new Galaxy A smartphone. However, that hasn’t prevented leaker Evan Blass from revealing the handset’s main attraction before the event. While LG and Huawei show off their handsets with three-rear facing cameras, Samsung will take this trend one step further. 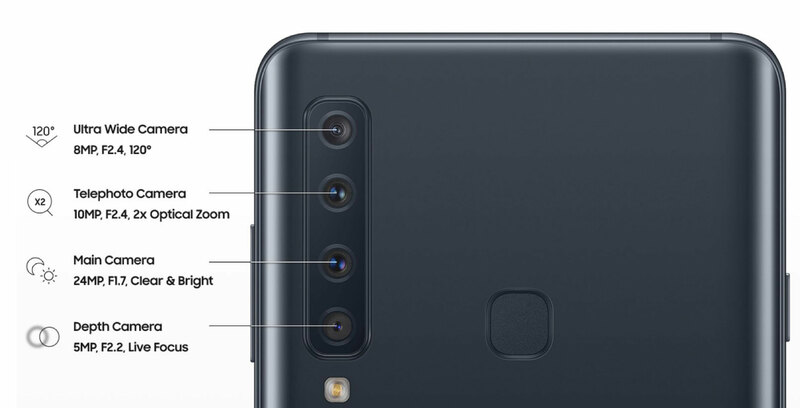 Blass’ leak indicates that Samsung’s upcoming Galaxy A device rumoured to be called the Galaxy A9, will feature four cameras on the rear. As is typical for the midrange Samsung Galaxy A series devices, the A9 will feature a Snapdragon 660 processor, a 3,720mAh battery and a 6.38-inch display, according to report. Samsung will hold its “A Galaxy Event” October 11th at 5am ET/2am PT. Similar to many other Galaxy A handsets, the Galaxy A9 likely won’t be released in Canada. The last Galaxy A device to make its way to Canada was the A8 in early 2018.